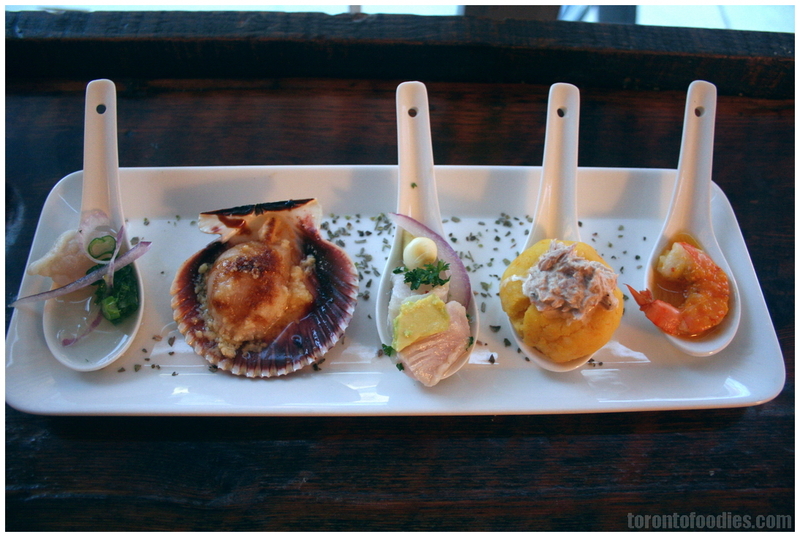 The first time I had ceviche was when Torito first opened up in Kensington Market. 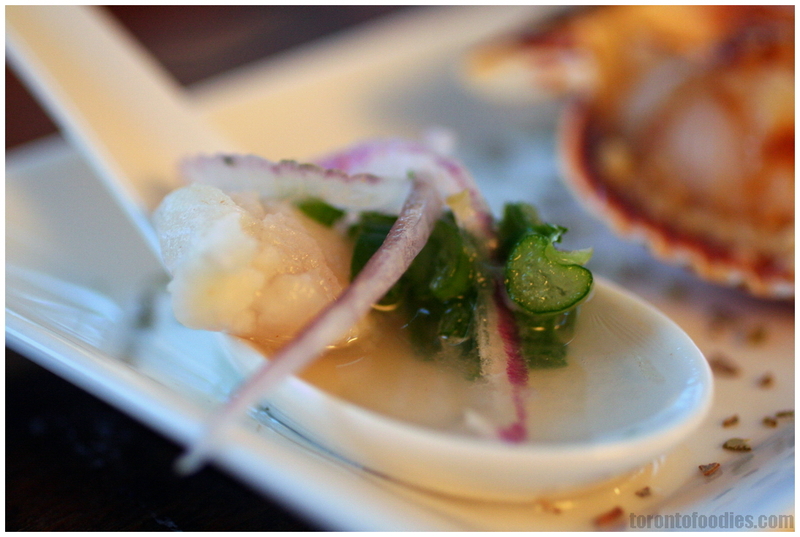 The 3-4 times I went within their first year, the ceviche was always on my must-order list. Fresh white bass, each piece perfectly cooked just-firm in fresh lemon juice, mixed with diced/brunoised peppers, cilantro, and red onions; kernels of crunchy toasted corn nuts adding crunch, atop slices of sweet yam, just balancing out the tartness. It was the perfect spring/summer dish, vibrant and explosive. I returned a few years later, after head chef Carlos Hernandez’ departure, and the ceviche was a shell of its former self. The blend of flavours didn’t hit the same sweet notes, and the sweet yams had been replaced by nacho chips. Really? It was a very disappointing day, and I haven’t been back since. T.O.Ceviche Bar has been building up a social media campaign and rousing appetites with photos of spoon-sized ceviche services. 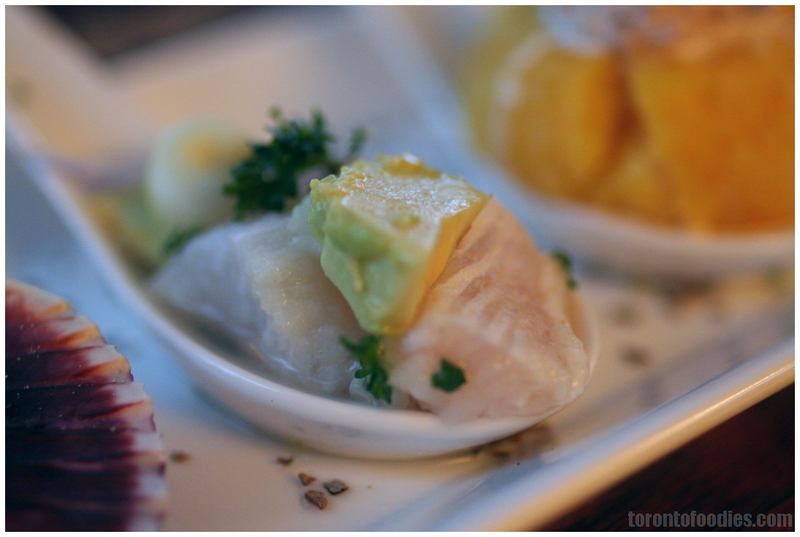 Peruvian cuisine is still fairly unsaturated in Toronto, and T.O.Ceviche Bar has a great opportunity here. 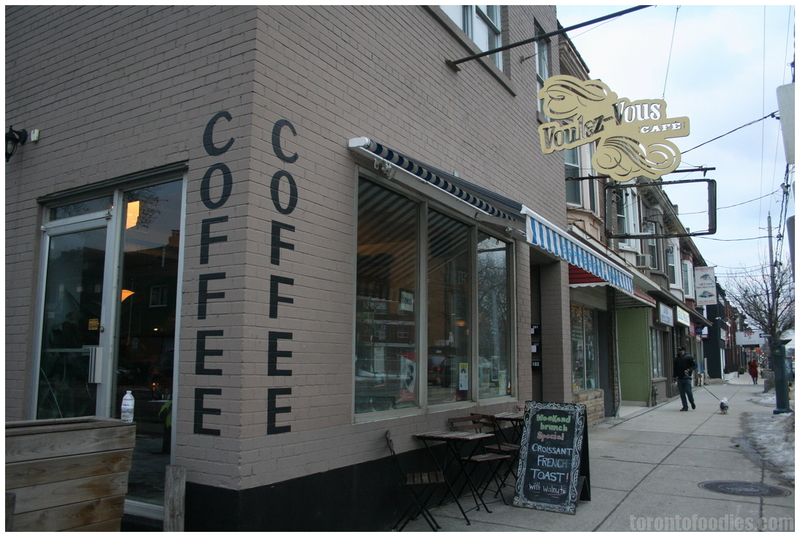 They offered a Tasting Menu dinner a few weekend ago, hosted at Voulez-Vous Café in East end of Leslieville, with RSVPs quickly filled. 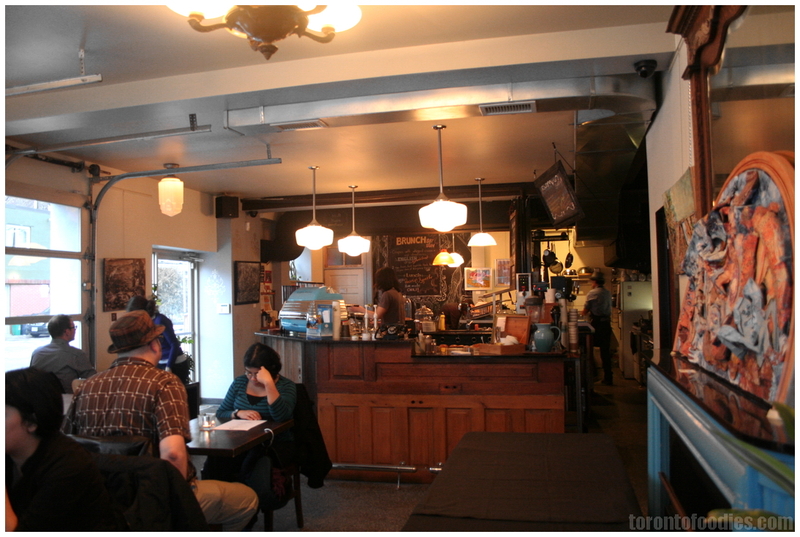 The staff were rather busy shuffling around the back area, and most of the people just came in and sat themselves. Being the first seating (5:30pm), I suppose the staff were more focused on setting up for the entire night, but it did feel odd not to be welcomed, particularly when they had been running the social campaign with such a personal touch. The menu offered a few drink options (all non-alcoholic) One of the drinks looked fairly interesting – Camu Chicha Morada ($6) – Boiled purple corn, Camu Camu berry, pineapple rind, apple, cinnamon, clove and sugar. 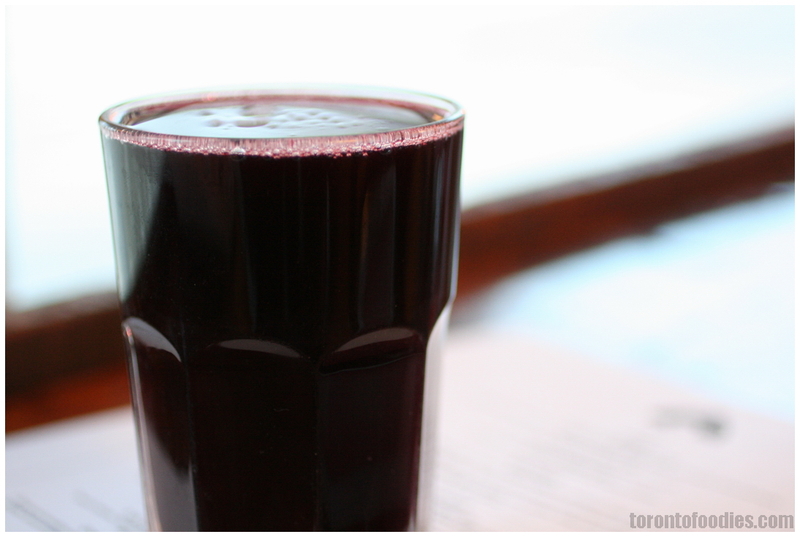 The flavours of the boiled purple corn, berries, and cinnamon featured prominently in the drink. There’s very little aroma other than a hint of cinnamon, but the cinnamon comes through on the first sip, with just a trailing bit of nutmeg and cloves.. There’s a mild nondescript berry tartness, and underlying notes of earthiness from the corn. Served cold, I can see this becoming a popular holiday drink, with a refreshing coolness but prominent seasonal spices. Confusing yet interesting. I would definitely try and make this at home. The menu had appetizers, an few First Courses, and a few Second Courses. I stuck with just the T.O. Ceviche Samper ($15). From Left to Right: Pink Champagne Ceviche, Scallop a la Parmesana w/ Algarrobina, Basa Ceviche, Causita de Atun w/ Spicy Aioli, Shrimp Tiradito. It would have been a nice touch if they had a suggested “order” of eating the dishes. I ended up working my way haphazardly through the 5 dishes (in the order below), and the flavour contrasts from dish to dish worked out reasonably well. Pink Champagne ceviche – the tingle and slight bitterness of the champagne was a very unusual pairing with the fish. The fish itself could have used a bit more “cooking”, as the insides were still a bit creamy and stringy with connective tissue. The scallions and red onions were a bit overly generous. Pickling the red onions may have toned down the intensity as well. 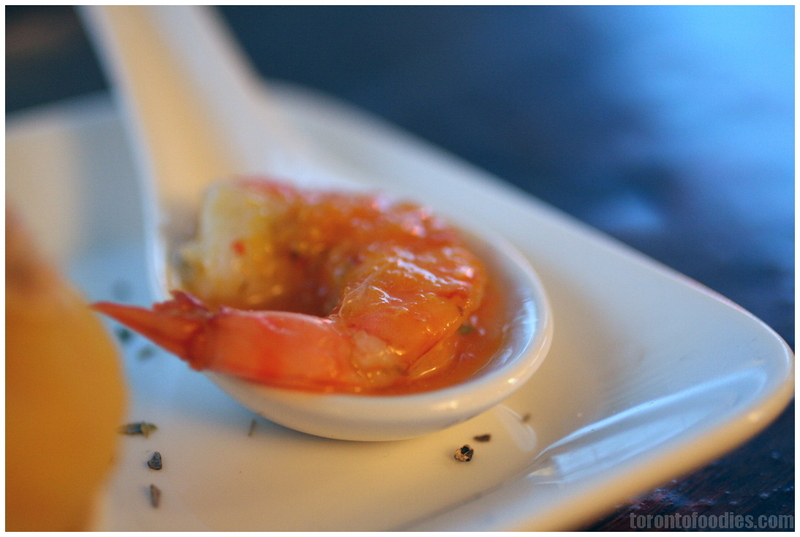 Shrimp Tiradito – the flavour of the shrimp dish was fantastic. The shrimp itself was properly cleaned and detailed. I’m not sure if the shrimps were frozen, or if they were overcooked/overmarinated but they tasted flat. It didn’t taste like a fresh plump shrimp, and the shrimps natural sweetness was pretty muted. The seasoning/sauce was great – fantastic spice, tartness with a bit of sweetness to temper it. They may have used Aji Amarillo chili paste in the sauce, one of the traditional ingredients to Tiradito (a Peruvian dish with Japanese origins, akin to spicy tataki). Basa Ceviche – served with a kernel of earthy sweet andean corn. Again, it feels like the fish could stand to be cooked through just a bit more, with the insides a bit like raw scallops with stringy tissue. The seasoning and marinade were a bit too subtle – neither tart nor spicy enough. Definitely can’t taste the coconut water, ginger, or pepper as described in the menu (at least, as describing the Basa Ceviche meal-sized dish). 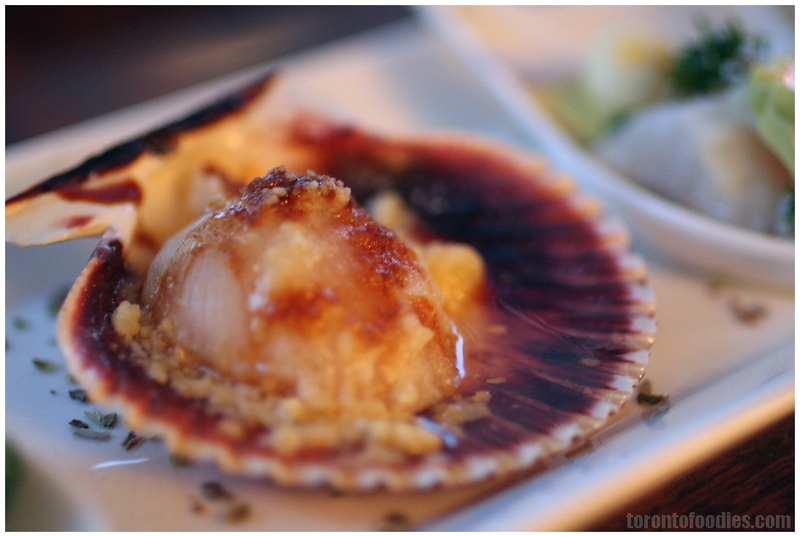 Scallop a la Parmesana w/ Algarrobina – the scallops were very hearty. The creamy, nutty, mildly bitter parmesan was a great change from the rest of the ceviche. And while strong, the scallop managed to stay distinct. Perfectly cooked just through, plump, you could still taste the scallop through the parmesan. The presentation was also exquisite, definitely the standout item at-a-glance, with its vivid purple shell. I’ve not had Algarrobina, a syrup made from black carob trees, and can’t say that it leapt out. 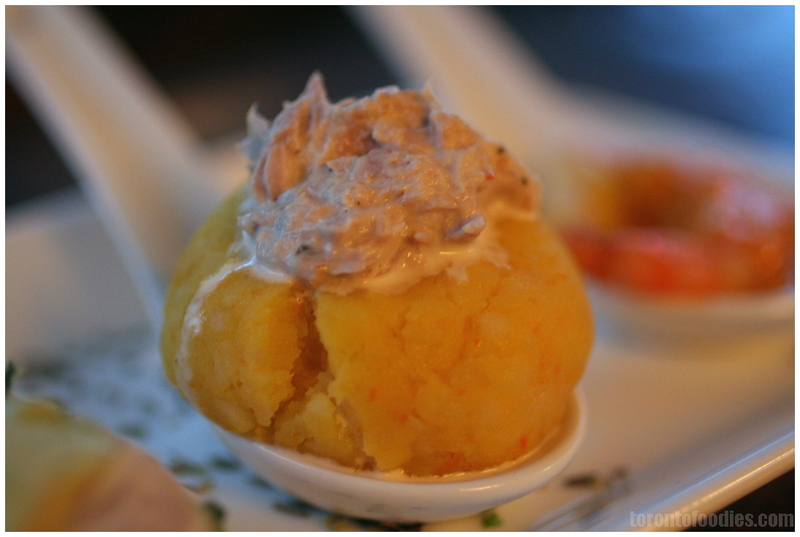 Causita de Atun w/ Spicy Aioli (Tuna Fish Potato Cakelet) – huge spice in the aoilo! Definitely a welcome kick in the teeth. A dollop of tuna in spicy aoilo instead of mayonnaise, on a ball of tangy (lime?) mashed yellow potatos. My mouth is still tingling from the heat. I really wanted to have a great experience at T.O. Ceviche Bar, but neither of the two ceviche came close to my benchmark set by Torito’s ceviche. 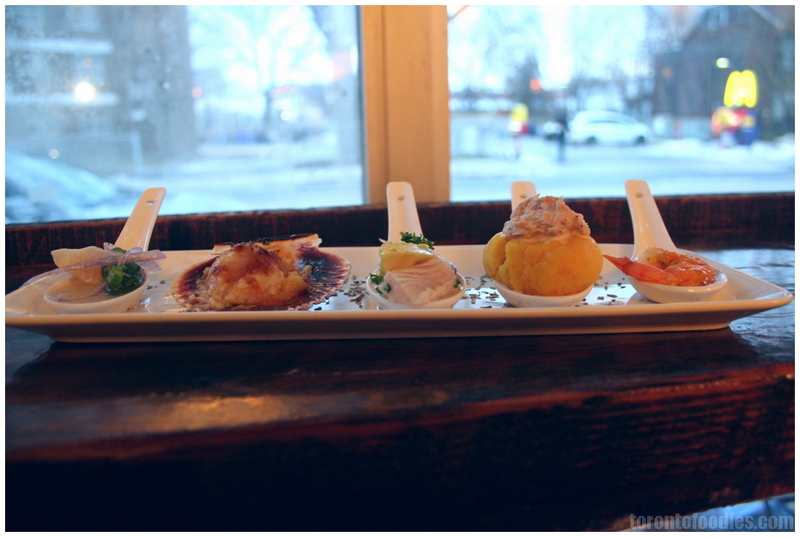 The other items had great flavour, but it was sad to see the spotlight ceviches fall short. Basa, while inexpensive, also doesn’t make the best ceviche – any uncooked parts make for a really unpleasant texture. Also, cutting fish into thin sticks, rather than cubes, would help cook the fish more evenly in the lime juice.